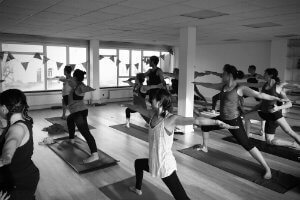 The formal practices of yoga (asana, pranayama and meditation) are deep ways to understand our world as individuals in the world of others. Remembering this is the key to yoga truly having a place in our lives. Taking our time to practise elements of getting closer to experiences that happen unconsciously helps us to see more about what makes us tick. 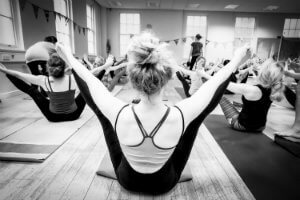 For me there are key moments in a yoga practice that allow me to see what practising yoga brings; what it truly means to me and where I can place my attention to notice something deeper. 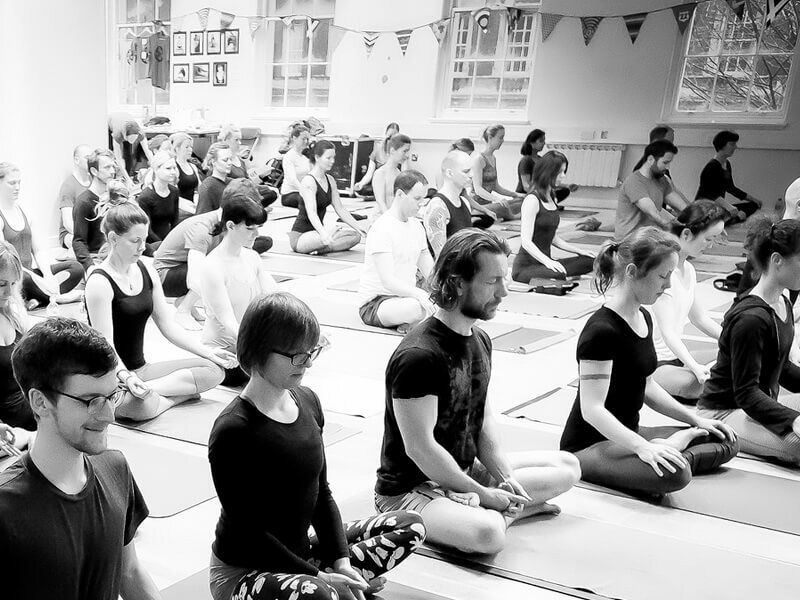 Think about placing your hands together at the beginning of a class at the centre of your upper chest, like we do in the Ashtanga yoga method when we chant the opening mantra. What does this action truly represent? I see it as making a gateway from the world of external relationship off the yoga mat to this internal relationship we have with ourselves. This place is then where we chant the opening mantra from. We chant because others have chanted before us so that we may also. But, if we just stopped for a moment and listened to the deep meaning of placing our hands together, we may get an insight into why we do what we do. What is it that placing the hands together at the front of our heart centre represents? It is so personal to all of us, yet representative of the subtle psychological things we do as humans. For me, I place my hands together in gratitude. Gratitude for how I have found a way to understand myself a bit more in this moment, through the practice of yoga being a part of my life. Gratitude in knowing that yoga is helping me to become that little more real in how I see the world, even if I don’t like what I see. I have this practice to help me clear a path through this life. Intimacy. I love the way Michael uses this word as a way of describing yoga. It conjures up such a beautiful way of seeing how we relate to everything we come across in our experience. That everything in our lives is so close and we touch it with the way we see it. I expanded intimacy to also mean relationship. We are always relating to an experience, a way in which the world is opening up to us, at any given time. But intimacy is a word that really captures a way to experience how we can connect to things. Can we be intimate with everything, as if we cherished it so much? When I am intimate it allows me to connect to things in deeper ways. Learning to be intimate with life is learning to lean in and not turn away from things that may be painful or unsettling. It allows me to be curious towards all relationships, both external and internal. We are always relating, we are always being intimate. To learn to notice this in a more open way is for me the practice of yoga. Learning to be intimate with life is learning to lean in and not turn away from things that may be painful or unsettling. So, when I practise yoga I see that I can never become separate from anything. The challenge is that there is some far-off place in the future where everything will be perfect and I will realise the nature of all things and be happy. This is a skewed notion. The practice always lands us in the present moment. Now. We exist here and when we find ourselves here we see that life is playing out this way all the time, and it never stops. Yoga as intimacy, as relationship. This way of speaking about yoga still moves me to this day. It’s interesting to me because both Michael and Ozge Karabiyik, two inspiring teachers whose work I cherished, passed away tragically, yet what they stood for and the way they met people still lives with me today. It’s like the ripple of their lives exist in the way I share and live yoga through mine. Yoga is about us. Yoga is the space I notice between the words I am going to say, the words I say and the way words land with others. When I notice this space I am clear and truthful about what I want to say. Yoga is also the way I feel because of deep practice, playing out moment after moment after moment. Yoga is the space I notice between the words I am going to say, the words I say and the way words land with others. The teaching space with which I hold is, for me, a deep way to understand how intimacy works. I see that life is intimacy. How can I help you to see that too? Importantly, how can I help you to see that intimacy by being with you while you try to see it, then getting out of the way once you have? Feeling love in our lives. Moving through life in a way that has meaning to us. Yet these realisations are based on a receptivity that others will receive these things in the world. Yoga practice makes us look at how we are seeing things towards ourselves first. How do I love myself? How am I listening to things in my own life? How am I making things play out in my own life? How do they truly land? This all really matters. Because when I do this I can hear and relate deeply to others with honesty and clarity. I can find in myself responses that are valuable for the wellbeing of others. So, yoga starts with looking at ourselves, it then plays out in looking at others in the field of responsive action. Yoga, then, is a feedback loop. Again and again we meet the breath. Again and again we feel how the body is telling us about the world. Again and again we return to seeing how life is happening, and again and again we notice that all I am doing is unpacking myself in this world, so that others can respond to me and I can respond to them. With love. How do you understand yoga in your life? It would be great to know. Yoga, then, is a feedback loop. Again and again we meet the breath. Again and again we feel how the body is telling us about the world. Sign up to our community email list and be one of the first to hear about our many popular events, as well as receiving our blog posts direct to your inbox.